CuAIO D22 Starter Kit is one of the most compact vaporizers. CuAIO D22 Starter Kit is one of the most compact vaporizers. It skillfully integrates a 1500mAh built-in battery with a unique 2ml/3.5ml atomizer in one cute vape pen. It comes with a flip-to-open filling system with an adjustable upper airflow control. The coolest thing about this kit is its childproof system. With this feature, the airflow has to be closed first before you can open the top cap to refill. This makes the refilling process easy and safe. The CuAIO features a new ProC-BF series coil head that offers pure flavor alongside a soft cloud for exciting mouth to lung vapers. Super convenient e-liquid Filler: This product features a simple and convenient liquid filling system. All you have to do is to open the top cap, inject the e-liquid in the holes at the sides directly and you are good to go. Child Lock Security: This feature makes it super safe to use especially when you have kids around. 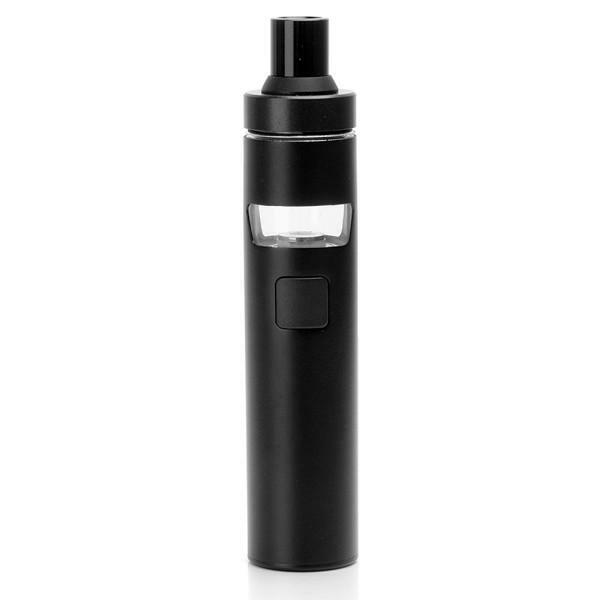 The atomizer is designed with dual child lock system. To use, you firstly have to rotate the airflow ring to close up the air inlet before you can push and pull to open the top cap. ProC-BF Head: The novel ProC –BF had is designed of pure cotton for mouth to lung vapers. It produces a beautiful and soft flavored vapor and it is compatible with Elitar Pipe, eVic AIO, eGoAIO Series, and CUBIS Series.